council doesn't care about rubbish west of Beaumont Street. 141 photos over 1.75kms and present 51 portraits of trash. Rachael O'Neill's Capturing Compassion exhibition is now over. Rachael was a joy to work with in her first exhibition, and we're delighted to have been able to provide her with the opportunity to show her powerful works. Her exhibition raised nearly $500 for NSW Women's Refuge Movement and to the Human Rights Watch. Congratulations Rachael! Opening at 6pm this Friday August 6th is Catch 22, the debut exhibition by two young ambitious gentlemen, James Jeffery Moran, and Ry Wilkin. Exploring a contemporary view on the relationship between photography and painting, the two artists work in contrasting yet complimentary mixed-media styles that are sure to knock your socks off. Be sure to come by for opening night to chat with the artists, have a drink, and enjoy a guest music performance by CHASING GHOSTS. Exhibition runs until August 14. 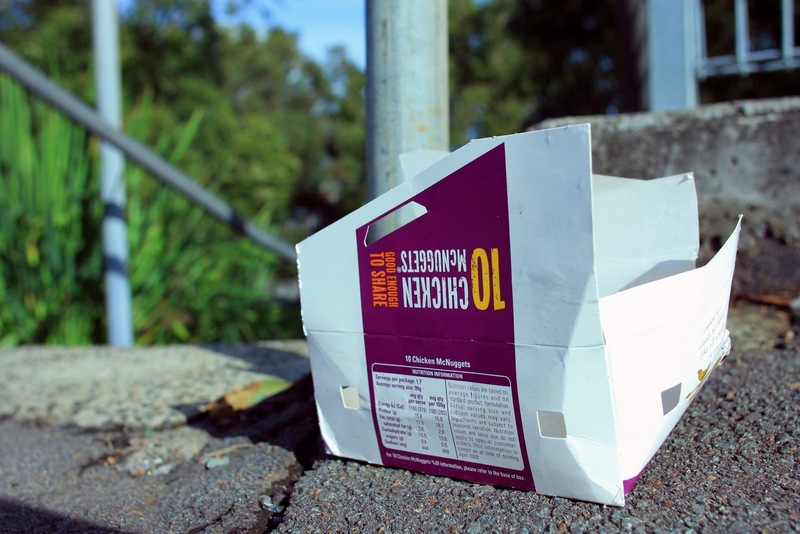 Following Catch 22, ARThive proudly presents Ten Chicken McNuggets, a photographic essay in pollution and fast food economics by Matthew Reilly. This exhibition will be running from August 18 to August 28, be sure to see this unique solo show! 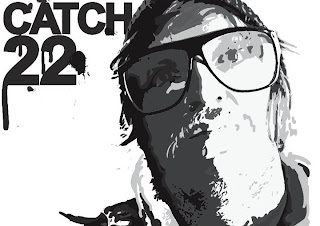 Other upcoming exhibitions include solo shows by Steven Nuttall and Mike Foxall. Keep an eye out for those! The third in our Cuddle Party series of experimental sounds and good time events took place on July 18, featuring a stellar lineup of Sydney, Newcastle, and Melbourne music talent. Some highlights included the return of Chris Hearn's SCALPS project after a 4 year absence, a free improv set from PENGUINS and MELODIES, and the always brutal grindcore of GRANNYFIST. Cuddle Party will be back soon. Our first ever Young and Baroque Artist Market was an incredibly popular day of handcrafted goods, original artworks, photo prints, cookies, and heaps more. Thanks to Blackbird Corner for donating heaps of lollies for us to sell, and thanks to the Beanstalk Organic food Co-op for loaning us tables to use. If you wish to be involved in our next market please email ARThive with your details and a sample of your wares - a second Young and Baroque is planned for this November, get crafty NOW! include synopsis of work to be exhibited and contact details of artists involved. minimum 5 high resolution jpeg images on CD. Or email your submissions to subjecthive@gmail.com . Please do not hesitate to contact us with any questions. We hope to see you all at the gallery very soon! You're invited to attend a debut exhibition by two young ambitious gentlemen. Exploring a contemporary view on the relationship between photography and painting, they are not afraid to make comment on the social and personal impacts that this incestuous affair has given birth to.